Dr. Balshe has been practicing dentistry since 2005. He earned his Doctorate of Dental Surgery at the University of Minnesota School of Dentistry in Minneapolis, MN. He completed a residency in periodontics and a post-graduate clinical residency at the Mayo Clinic in Rochester, MN, as well as a Master of Science in Biomedical Sciences. After completing his periodontics specialty training from the Mayo Clinic in Minnesota, he moved with his wife Manal and newborn son Faris to Orange County. There, their two daughters, Layla and Jenna, were born. 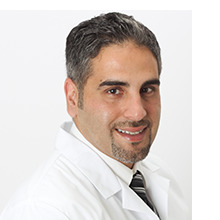 In 2012, Dr. Balshe and his family moved to Dubai, where they had wonderful professional, social, and cultural experiences before returning to Orange County in 2015. In his spare time, he enjoys reading and participating in outdoor activities, movie nights, and watching sports with his family.